By @SimonCocking interview with Peter Hendrick, Chief Technology Officer. eNett provides fast, easy and safe B2B payment solutions to travel companies all around the world. Our secure Virtual Account Numbers (VANs) allow travel companies of all sizes to generate a unique Mastercard number and pay suppliers from within their booking flow. Not only is this faster than manual payment processes, but it’s cheaper, helps to reduce fraud and delivers a better customer experience. In a nutshell, we create awesome payments solutions that benefit our customers, their customers and us. We’re B2B payments game changers. Our products are innovative. Our service is fast. Our customers’ transactions are safe. And we’re easy to deal with. Take a look at our new company video to find out more. It started when a hotel chain asked me to help solve the hours they spent on manually processing and reconciling payments. I was shocked at how old-fashioned the processes were in the hotel. I looked at the broader travel industry and saw that B2B payments were very complex – different types of suppliers require differing payment methods through multiple, unconnected systems. I saw the potential of an innovative new payment method to simplify and automate the process and that’s where Virtual Account Numbers came about. We’ve been growing year-on-year ever since and have no intention of stopping now. Our main hubs are in London, Melbourne and Singapore. I’m based in Melbourne, and our offices are in the Central Business District. But I’m in London and Singapore a lot. We just celebrated our eighth birthday. The beauty of VANs is that they benefit all travel companies, from a giant Online Travel Agent to the local travel agent on the high street. 8 of the top 10 mega Online Travel Agents use eNett VANs. There’s not many companies who can say that. At the moment we have over 200 employees globally. I’m a firm believer in hiring for cultural fit first, then skills. You can teach skills but you can’t teach culture. All of my team, no matter what function they are in, know customer experience comes first. Our main focus is to make things faster, easier and safer for customers. And that’s what we do. What are your longterm plans for your product/company? Innovation is what made us game changers. We have an ambitious roadmap of innovations, and we look forward to announcing some new products and solutions soon. I’ve just installed a sound system in my house, which means I can have the same music playing in every room I walk into. Music always helps me relax so it’s a nice perk. I travel a huge amount. I think my PA worked out I travel enough miles to get to the moon. Any gadget that makes travelling that little bit more comfortable is good with me. As an entrepreneur, what would be your advice to companies in the early stage of growth? Scale up before you get customers – not after. In today’s digital age, it’s never been more important to build your infrastructure today based on anticipated demand five years down the line. Nothing gives a poor customer experience more than not being able to log in on your website. Think like a big company from the outset! 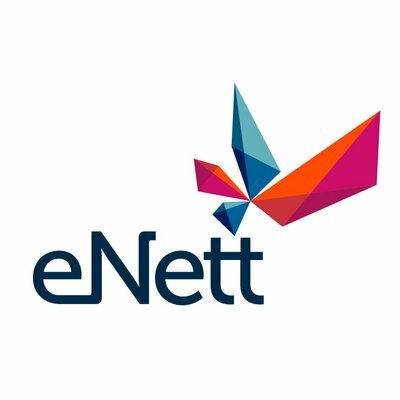 To find out more about us, or to get in touch go to www.enett.com .